To help with using the software is low light environments LightFactory can now be switched into a dark style mode. You can switch this mode on and off in the appearance tab of the system properties. 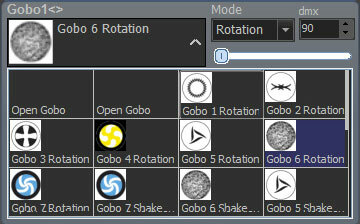 The fixture control window has been enhanced with a new picker control for gobos, colours and static items. 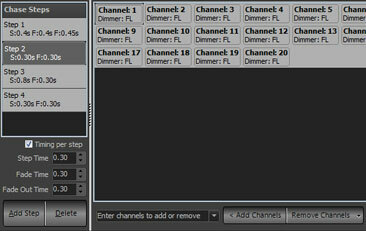 The new control will stay open until requested to close and can be expanded to show any number of items. The new system is also touch friendly and can be scrolled using touch and drag gestures. When putting video and audio files into a cue you can now set the video intensity and the audio volume. 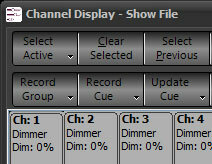 Cross fades between cues will also work with this setting so that a audio file can fade from one level to another. The simple chase effect can now be switched to a "Timing per step" mode. In this mode each step of the effect has its own timing parameters. The step time, fade time and fade out time can all be set independently for each step. Note that when using this mode the step and fade time cannot be overwritten in a playback or cue. 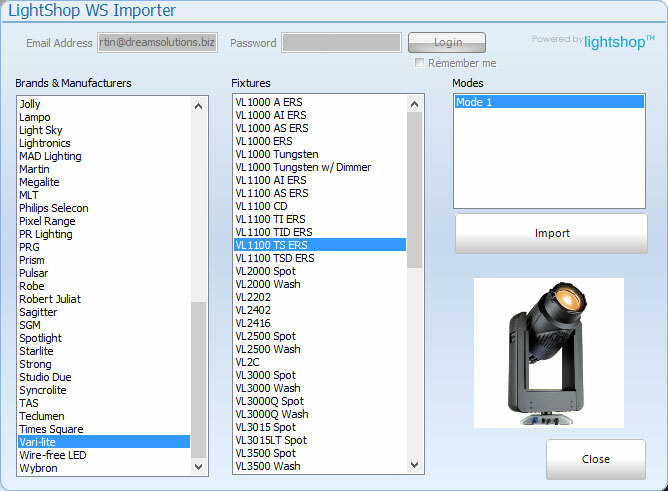 LightShop™ is an online database of fixture profiles that can be access directly from within LightFactory. 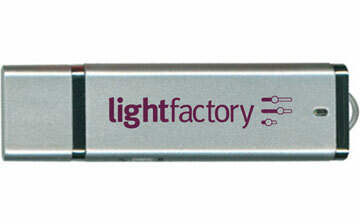 Soon to be released for sale is the LightFactory branded memory stick. These 4Gb memory sticks are also capable to holding any LightFactory license. The licensed memory stick can be used to move the registration between systems easily and conveniently. When using the fan options on colour mixing you can now invert the colour range or use the mirror option to make a mirrored rainbow. A completely new control element for cues. 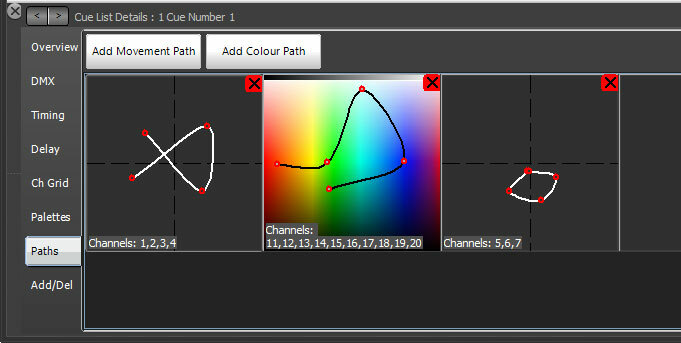 The cue path system is a convenient way to do a one shot movement or colour path when the cue runs. Each cue can have as many separate paths as required and each path can operate on any number of channels. Individual channel timing and delay can also be applied to the path and the Mark flag can be used to preset the start position of movements. 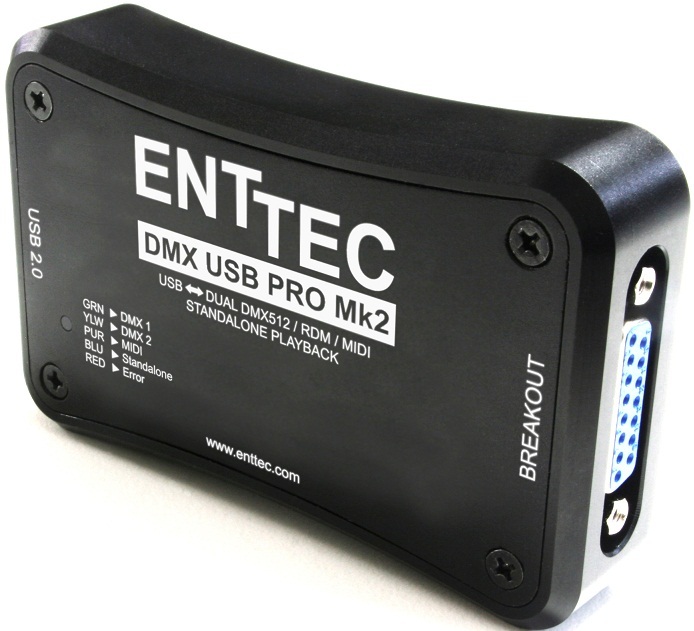 The DMX USB PRO Mk2 is light-weight, portable, and ready for professional applications. The 'Pro2' supports two full universes of DMX512, it can be used as an output to control lights, or as input.